HF: Our recent article about Arnhold Aviation, a subsidiary of Hong Kong based Arnhold Holdings Ltd which is the corporate descendant of Arnhold, Karberg & Co., a company founded in 1857, says that Arnhold Aviation represented four aircraft manufacturers in China. Three of these I am at least familiar with but the fourth Blackburn I had never heard of. I thought it would be of interest to learn about this company. “In the spring of 1928 Arnhold & Co, Ltd. decided to start selling aircraft and hired WEF Jones to head the operation. The Arnhold Aviation Department was born on 1 April 1928. 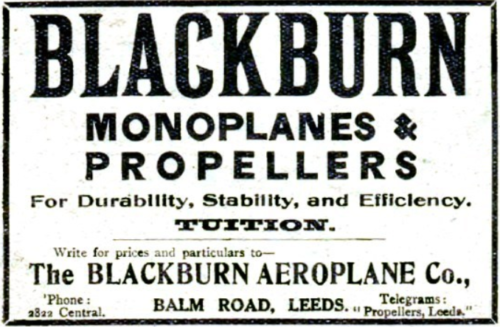 Any additional information about Blackburn in China, or indeed in Hong Kong, would be very welcome. 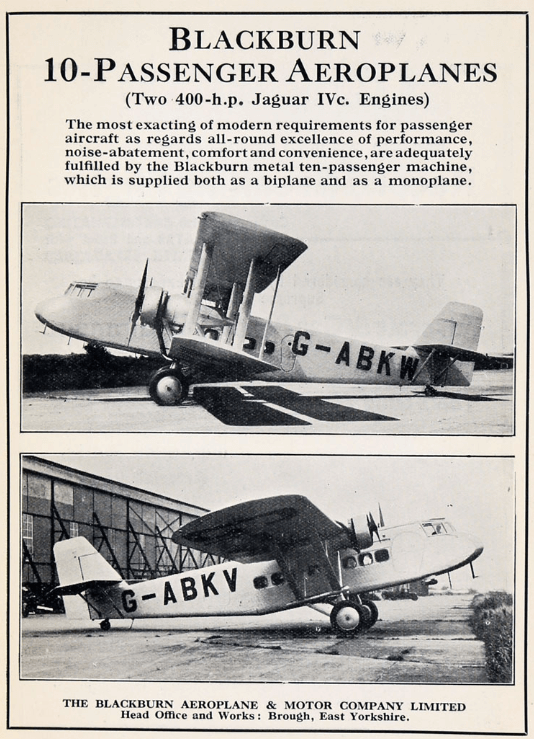 1933 Advertisement in Who’s Who in British Aviation. 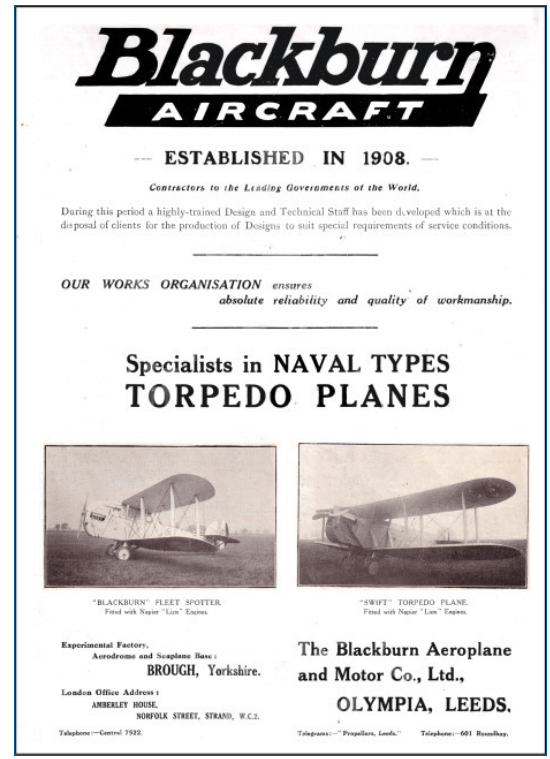 1937 Through the acquisition of the Cirrus-Hermes company, Blackburn started producing aircraft engines – the Blackburn Cirrus range. This article was first posted on 23rd May 2018. Grace’s Guide – website, Grace’s Guide is the leading source of historical information on industry and manufacturing in the UK. The scope is gradually being extended to include non-UK businesses and biographies. Additions are being made to the information daily by a team of volunteers who give freely of their time and expertise.